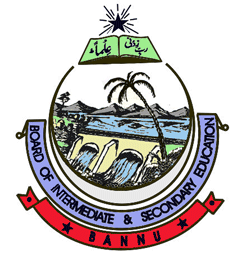 Bannu, Board of Intermediate and Secondary Education Bannu will start the matric and intermediate classes annual exams 2017. BISE Bannu has uploaded the model papers of the 10th and 12th classes in all of the subjects and the students can download these model papers of the matric and inter classes. The students will get these model papers of their relevant subjects and they will solve them so that they can prepare their Bannu Board SSC and HSSC annual exams 2018. The Bannu Board matric and FA/FSc model papers are provided to the students online so that they can visit the site and download the relevant subject model papers to solve them and know the way to solve the questions of the model papers. It will help them to get good marks in their annual exams 2018.